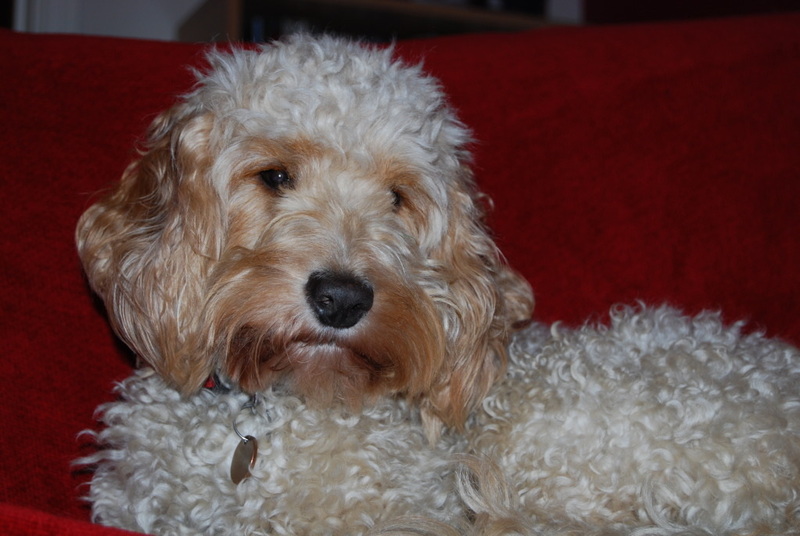 The coat type of the Cockapoo will vary as characteristics are inherited from both the poodle and the cocker spaniel. There may even be some variety within a litter. The three possible coat types are a tight curly coat, a loose wavy/ringlet coat and a straighter coat. 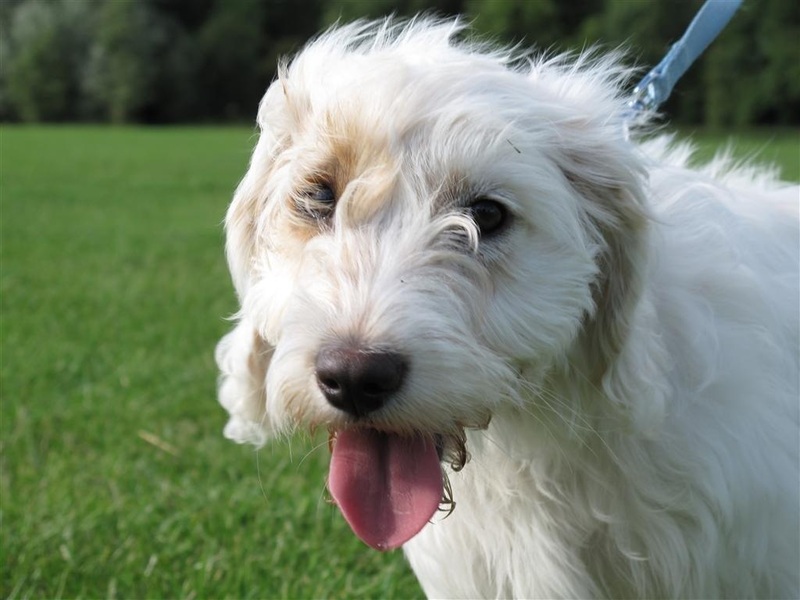 An experienced breeder will be able to advise you what the likely coat type of a puppy will be from their cocker spaniel/poodle mix that they breed, and when the puppies are just a few weeks old it is possible to see the coat type starting to develop. The texture of the Cockapoo coat usually consists of dense, soft or silky fur, unlike the coarser fur found on many dogs, and all three coat types of the F1 cockapoo will be low-shedding/dander with low-allergen qualities. For more information on this please go to the Hypoallergenic page. 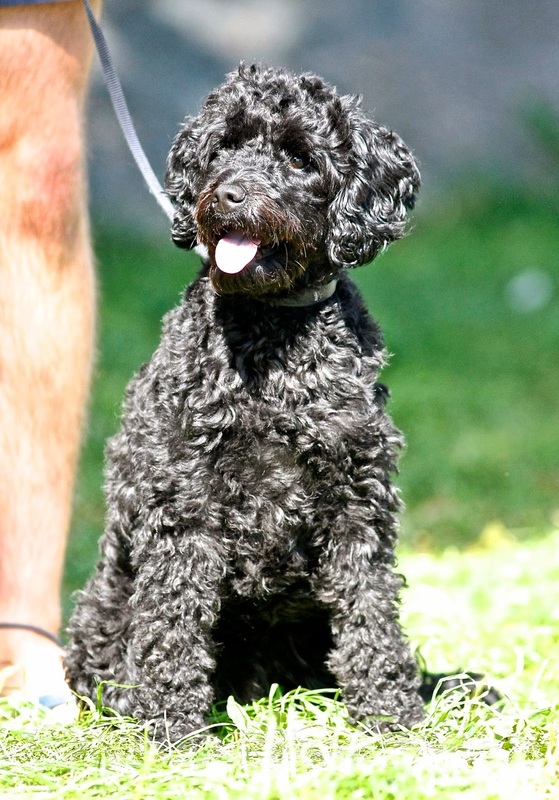 The Cockapoo bred back to a poodle, the F1b, is more likely to have a tight curly coat as there is more of the poodle in the gene pool. 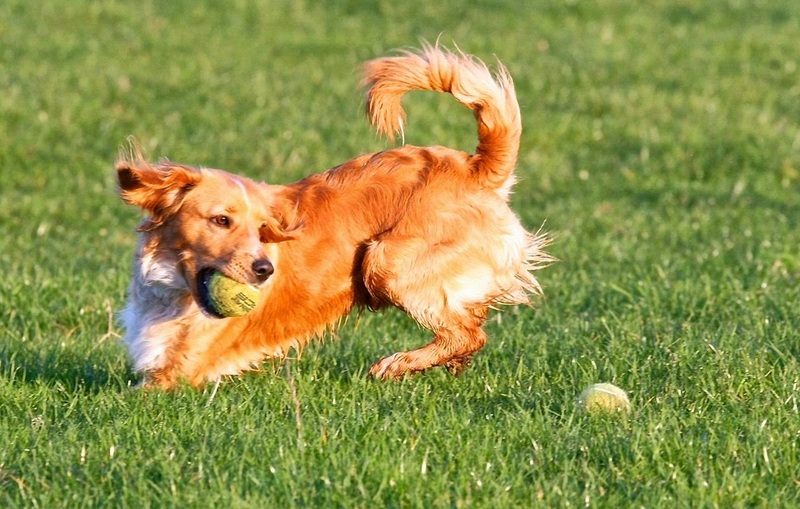 Similarly, the Cockapoo bred back to a cocker spaniel may have a straighter coat. The curlier coat types are generally less likely to shed any hair, usually depositing no hair at all on carpets and clothes, and only a small amount in the brush during grooming. 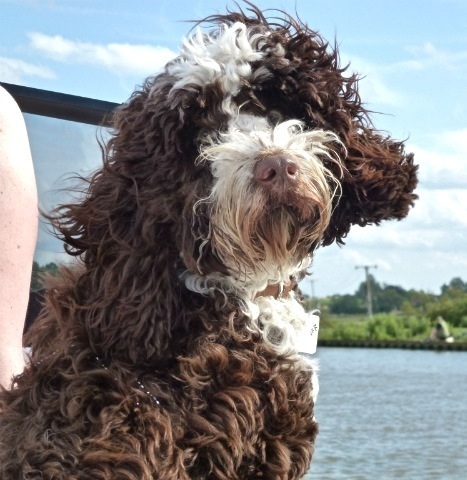 All Cockapoo coat types will need regular grooming to prevent matting and to keep the coat to the required length. Please see the Grooming page for more information on this. 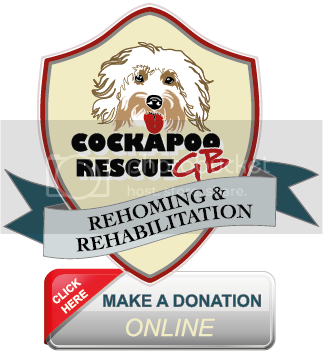 F2 Cockapoo’s are the crossing of any generation Cockapoo with an F1 Cockapoo (which is the original cross of English Show, English Working or American Cocker Spaniel with either Toy or Miniature Poodle) as the classification only allows a jump of one denominator from the lowest generation i.e. F1 x F1 = F2 but also F1 x F2, F3, F4 etc also = F2. 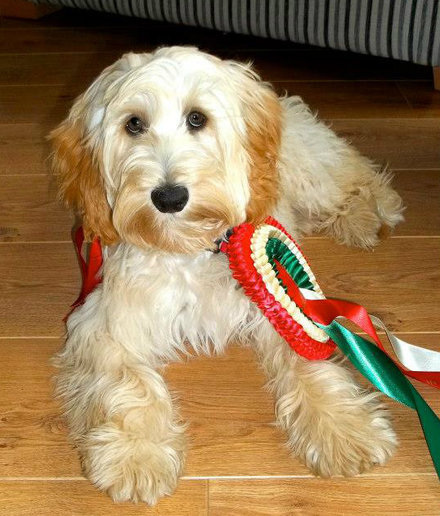 The F2's and later generations will give us the variety of Cockapoo types that we are being asked for today. Within the same litter all the puppies will have their own individual characters but all the typical charm and intelligence of the Cockapoo cross-breed dog. In looks however, they can have four very desirable variations in coat types to suit all our customers’ requirements and sometime these will all be in the same litter. The Flat Coat that looks very similar to the Cocker Spaniel and as such is a very low maintenance this coat will be low shedding and will not need clipping. The Straight Coat with very loose waves is only medium maintenance will need regular grooming and will need clipping 3 to 4 times a year, this coat will be low/medium shedding. The Wavy Ringlet Coat, this looks like a teddy bear from 6-7 weeks old but becomes a high maintenance coat that will need regular attention and clipping/trimming to prevent matting. It will probably be none shedding. 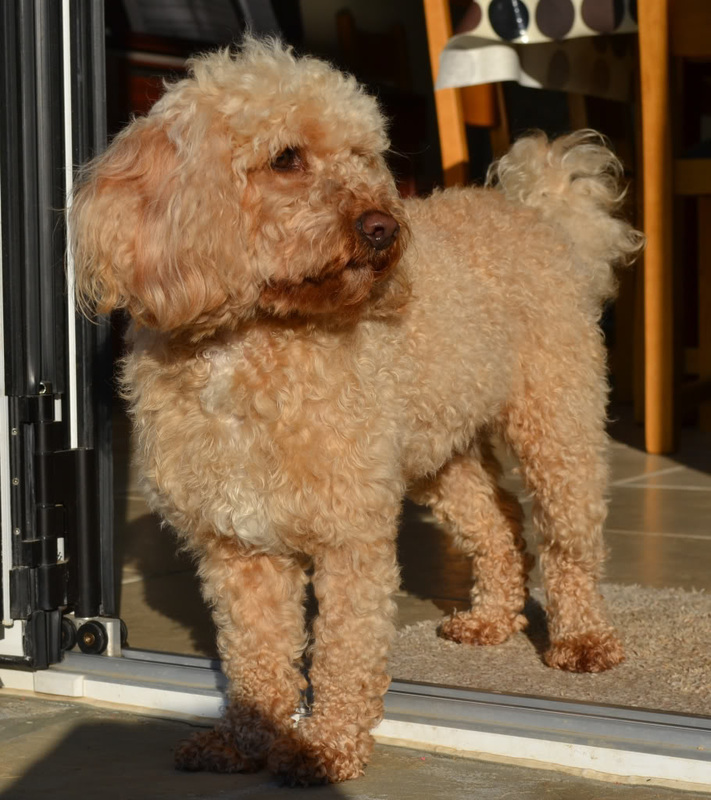 The Poodle Type Coat is a tighter corkscrew coat that will need to be kept well groomed, clipped and trimmed. This will be a non-shedding coat. To avoid confusion on what you are going to get, puppies should not be selected until they are at least 6 weeks old as by that stage an experienced breeder should be able to see and advise on what coat type is likely to develop and what character traits each individual puppy is trending.